Peyton Manning takes a family to Universal Parks & Resorts. Chris Pratt works out to get in shape to tout Michelob Ultra. Bill Hader takes a break on set to snack on some Pringles. 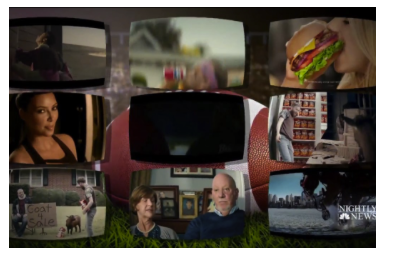 This year’s Super Bowl advertisers are minding their manners. They’re trying hard to steer clear of everything from politics to the #MeToo movement with lightly humorous ads that don’t offend. People are in the mood for “political-free entertainment,” said Kim Whitler, a marketing professor at the University of Virginia.